Long ago we invited bears into our stories, our dreams, our nightmares, our lives. We have always sought them out where they live, for their hides, their meat, their beauty, their knowingness. Human country and bear country exist side by side. As Sherry Simpson suggests, the relationship between bears and humans is ancient and ongoing and, in Alaska, profoundly and often uncomfortably close. A huge number of North Americas bears live in Alaska: including at least 31,000 brown bears, 100,000 black bears, and 3,500 polar bears. And nearly every aspect of Alaskan society reflects their presence, from hunting to tourism marketing to wildlife management to urban planning. 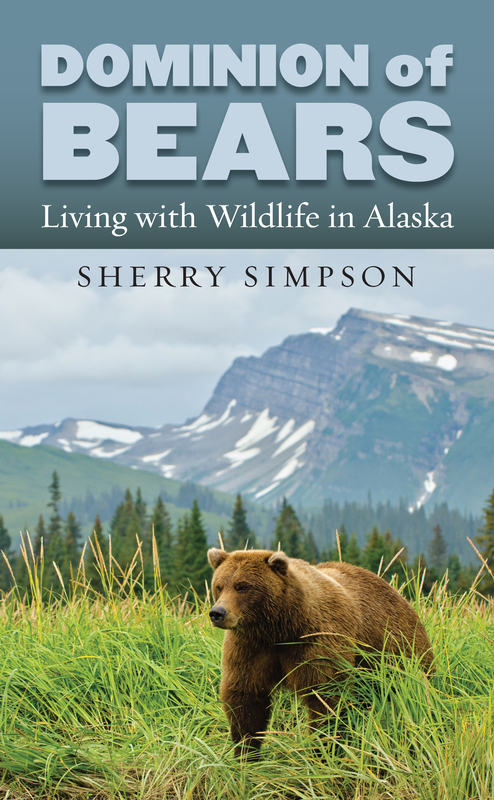 A long-time Alaskan, Simpson offers a series of compelling essays on Alaskan bears in both wild and urban spaces—because in Alaska, bears are found not only in their natural habitat but also in cities and towns. Combining field research, interviews, and a host of up-to-date scientific sources, her finely polished prose conveys a wealth of information and insight on ursine biology, behavior, feeding, mating, social structure, and much more. Simpson crisscrosses the Alaskan landscape in pursuit of bears as she muses, marvels, and often stands in sheer awe before these charismatic creatures. Firmly grounded in the expertise of wildlife biologists, hunters, and viewing guides, she shows bears as they actually are, not as we imagine them to be. She considers not only the occasionally aggressive behavior bears need to survive, but also the violence exacted upon them by trophy hunters, advocates of predator control, or suburbanites who view bears as land sharks that threaten the safety of their families. Shifting effortlessly between fascinating facts and poetic imagery, Simpson crafts an extended meditation on why we are so drawn to bears and why they continue to engage our imaginations, populate indigenous mythologies, and help define our essential visions of wilderness. As Simpson observes, The slightest evidence that bears share your world—or that you share theirs—can alter not only your sense of the landscape, but your sense of yourself within that landscape. Sherry Simpson, considered one of Alaska’s most accomplished essayists, is the author of two previous books, The Way Winter Comes: Alaska Stories, winner of the Chinook Literary Prize, and The Accidental Explorer: Wayfinding in Alaska. She is an associate professor in the Creative Writing and Literary Arts Department at the University of Alaska Anchorage.